The Chamber is always ready to help its members celebrate their successes with ribbon cutting ceremonies. Whether you are a new member or moving to a new location, expanding your existing business or relaunching your product line—the Leesburg Chamber and its members will join you in marking these momentous occasions. Because the ribbon cutting marks a very significant moment in the business’ history, this is also a great photo and video opportunity. The ceremony gives the business owner or manager a chance to say a few words to those gathered. Business owners have used this time to publicly thank their financial backers, their employees, their friends, and family, and/or their business partners. They also take the opportunity to talk about what their business does. 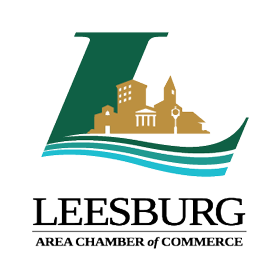 You must be a new or current Chamber member in good standing (including dues paid) for the Leesburg Chamber of Commerce to participate in your ribbon cutting. To book your Ribbon Cutting with the Leesburg Area Chamber of Commerce please call 352-787-2131 or fill out the form below and a member of the Chamber team will get back to you shortly. Please note: Events are scheduled based upon availability and on a first-come, first-serve basis. Publish a photo of your ribbon cutting on the Chamber’s Facebook Page with over 2,000 fans! Q. Is there a Ribbon Cutting Fee? A. Ribbon Cutting Ceremonies are free to all Chamber members in good standing (dues paid) for the Leesburg Area Chamber of Commerce. While the Chamber will extend the above-mentioned invitations and list your ribbon cutting on our Event Calendar, we strongly encourage you to conduct your own PR campaign to increase the attendance and awareness of your business’s opening. You should also consider inviting your business partners, financiers, contractors, employees, customers, friends, and family to be with you to celebrate this momentous occasion in your business’s history. Schedule your event at least two weeks in advance. Tuesdays, Wednesdays, and Thursdays, 8:30-9:30, usually generate the best turnout for the number of guests. Ribbon Cuttings at 5 pm are also suitable on Mondays, Tuesdays, and Thursdays. Who will be in the photo(s)? Some businesses will take multiple photos with various groups of people before actually cutting the ribbon. Photos might include employees, family, Chamber members, business partners, and Ambassadors for example. Most include everyone who attends. Prepare a quick speech and be sure to have plenty of business cards and brochures available. Consider mailing or emailing out a special invitation. The Chamber sends out an email invitation to all members. However, you can also mail an invite through the US Postal Service. This is especially encouraged if you are conducting a grand opening with prizes, business specials, and refreshments. The Chamber sells printed mailing labels for its entire membership. This is only available to members. Mailing labels can be purchased for $25.